To purchase your own copy of Kelly Jackson’s new album Renditions of the Soul please click on the Add to Cart button below. To purchase your own copy of Kelly Jackson’s Spirit of Woman award winning album please click on the buy now button! For other Spirit of a Woman merchandise see the buy now buttons below. 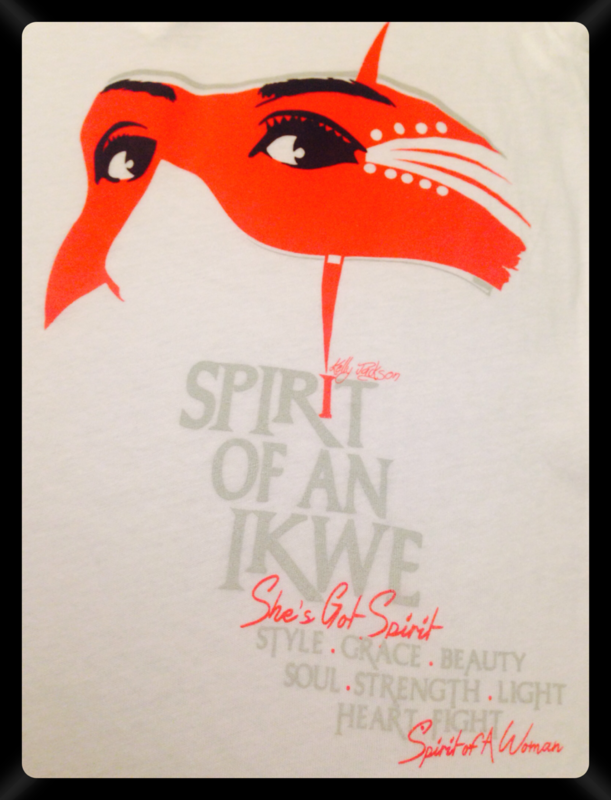 Spirit of an Ikwe (“woman” in ojibwemowen- my language) T-Shirts are available in sizes small to 3XL. 3XL shirts are printed on an off white backing. The shirt is decorated with empowering words that reflect my admiration for the many contributions women make to their families, their communities and their careers. Portions of the proceeds benefit Spirit of A Woman Retreats which offer opportunities to disadvantaged women in areas of personal and professional development! Many Miigwitches for your support!